How to Restore Messages Only from iCloud Backup? If you're someone that constantly deletes messages, only to wish you hadn't days, months or years later, then don't worry because you're not the only one. Luckily, thanks to the popularization and convenience of iCloud, you can back up your iPhone regularly and then you have a backup in case of any accidental deletion. But we know that you probably still have problem – "How can I restore messages only from my iCloud backup?" Well, before we answer that directly, you need to figure out whether you can get the certain types of data from iCloud backups you made. Can I Restore Messages Only from My iCloud Backup? 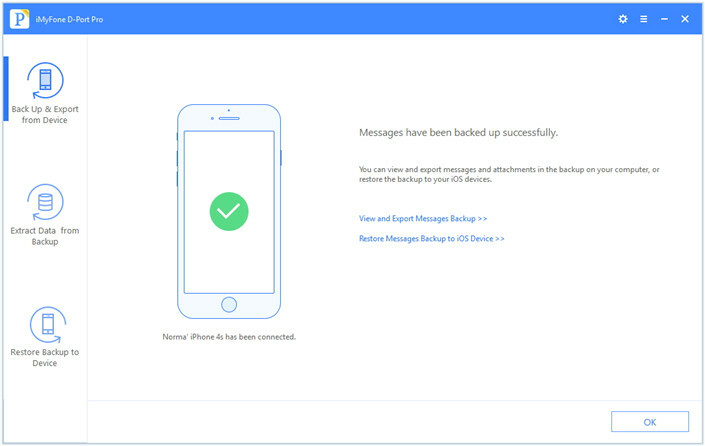 How to Restore Messages Only from an iCloud Backup? How to Back Up Messages Only on an iOS Device? 1. Can I Restore Messages Only from My iCloud Backup? 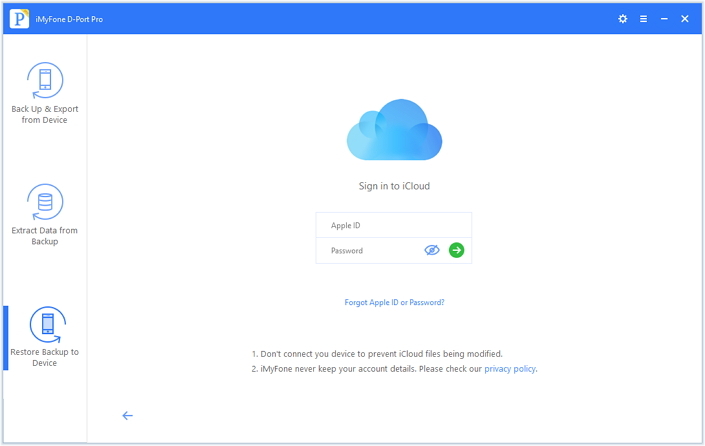 What Apple may let you down is that unfortunately Apple themselves don't offer the option to restore certain types of data from iCloud backup, which means you'll need to obtain an excellent third-party tool. However, it can be difficult to determine which applications are trustworthy, reliable and effective when there are so many available on the market. Therefore, we're going to give you some guidance and suggest one that you can use to restore messages only from your iCloud backup, and do more. 2. How to Restore Messages Only from an iCloud Backup? iMyFone D-Port Pro is a wonderful iOS data backup and restore tool which will allow you to solve a whole host of different Apple-related issues. 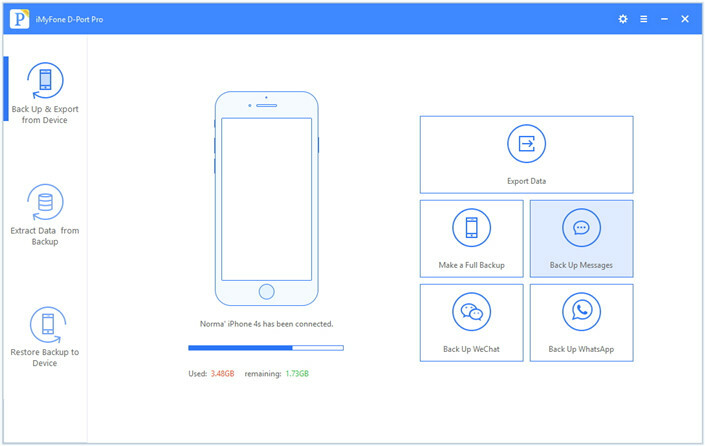 Here are some of the features which can help you a lot in iOS backups. It has the capability to restore only the messages you want from an iCloud backup without affecting any other existing data on the device. Users can choose messages from different iCloud backups, not just the latest one (iCloud only shows the latest backup). It is able to restore messages only from your iTunes backups to your iPhone too. 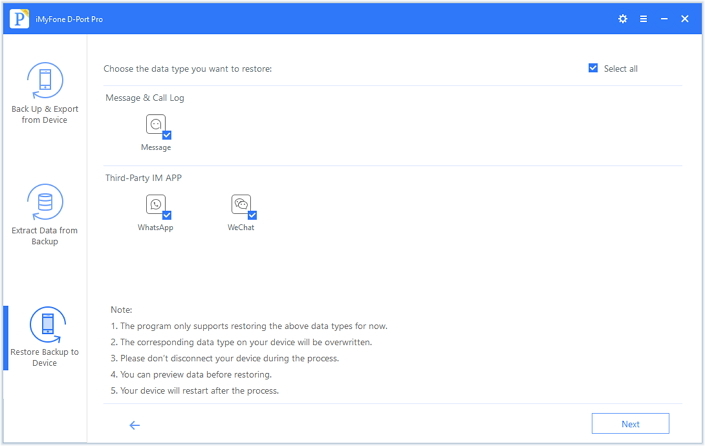 It supports to restore WhatsApp and WeChat data, plus many more from your backups. Its backup function is efficient and totally for free. Access the software on your computer, click "Restore Backup to Device" and then select "Download iCloud Backup" option which is under the backup list. Log into your iCloud account and pick the specific backup that you want to restore messages from. 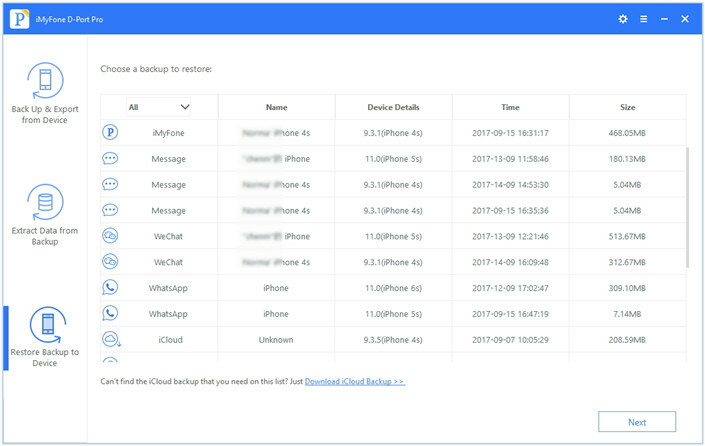 You can see that iMyFone show all the iCloud backups you have made. And then hit "Next" to choose the types of data you want to restore. Here it is Messages of course and you can check more also. Click "Next" until the tool starts to download the backup and scan the data in it. Once it has finished scanning your data, it will display all of the contents of the backup for your check over. 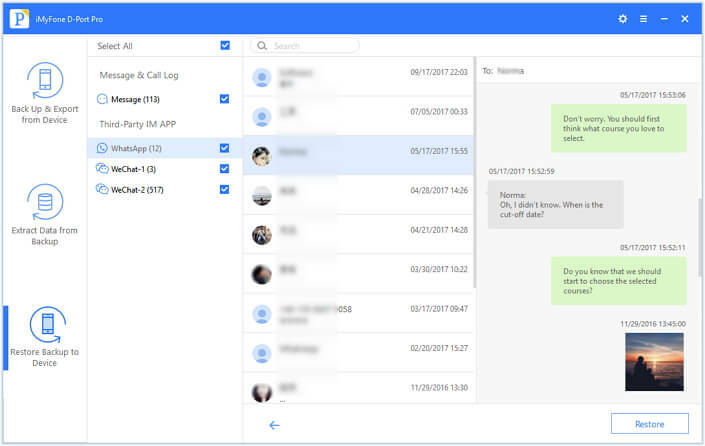 You can preview the messages and confirm that's what you need. Of course other types of data in the backup will be displayed for you to check over. Choose whatever types of data you want to retrieve, then select "Restore". 3. 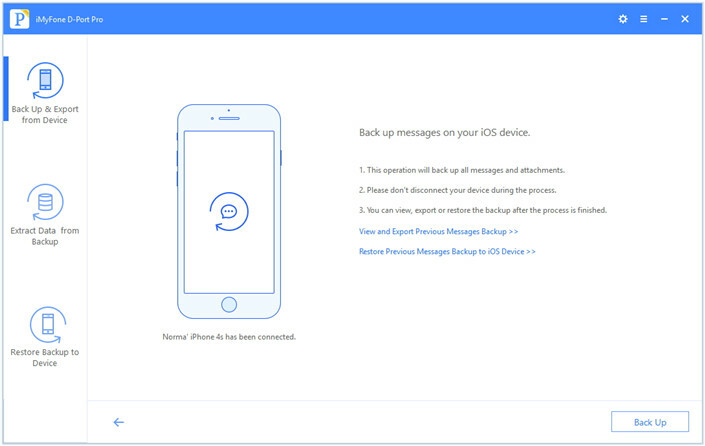 How to Back Up Messages Only on an iOS Device? Once you're inside the tool, click on "Back Up & Export from Device" and then choose "Back Up Messages". The next screen will just explain the features of the backup, but all you need to do is hit "Back Up" at the bottom. iMyFone D-Port Pro will then use its power to back up all of your messages, and when it's finished you'll be notified. Ultimately, if you change your iOS device and lose messages, or you've deleted messages when you shouldn't have, there's a way to restore your messages from iCloud backup. So, instead of worrying, just acquire the iMyFone D-Port Pro tool and access those messages in no time at all!